Kinder & TK Registration Now Open! We are now accepting new Kinder & TK registration! Please read the attached information for instructions and general information! Shop at Shutterfly or Tiny Prints and 8% of your purchase will be donated to our organization. Our school is hosting a Follett Book Fair! builds their personal libraries and raises funds for the school, all at the same time. 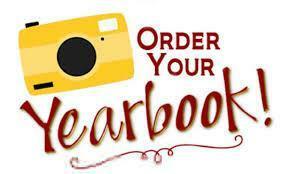 Yearbooks are now on sale! Order before March 16th to lock in the low price of $18.00! Any orders received after March 16th will be priced at $20.00. ALL ORDERS MUST BE IN BY APRIL 5TH, 2019!